Tagetes is one of the popular garden bloomers in most parts of the world. These versatile annuals have numerous cultivars that vary in size and flowering habits. Some of the species grow as dwarf bloomers whereas some grow into bushy plants of 1 meter or more. Yellow, orange and deep-rusted flowers are often double and bi-colored. These sun loving plants bloom in spring and summer though some species would flower in warmer winters. Tagetes are commonly known as Marigold and grown commercially for several purposes. They are excellent insect repellent and thus grown as companion plants of tomato, potato, tobacco, pepper, and eggplant. 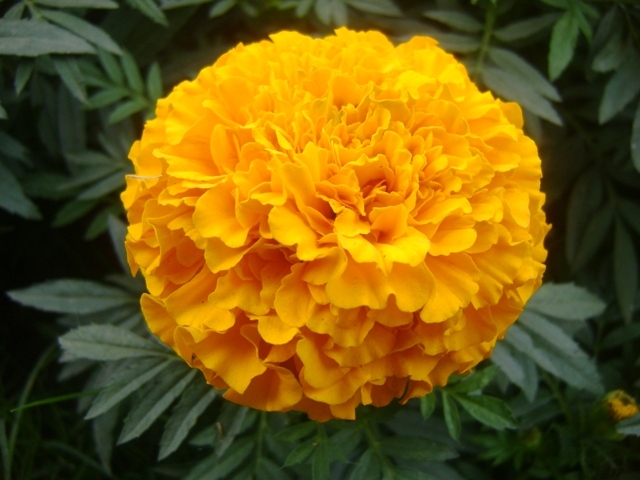 Marigolds are source of marigold oil which is used in manufacturing perfumes. The flowers are also used in confectionary, salads, and potpourri. They are an excellent choice for mass plantation as well. Though native to the Americas, marigolds have been successfully naturalized in most parts of the world. These sun loving plants are quite easy to grow from seeds. They require moderate water and bright sunlight. When grown in overly rich or fertilized soil, Tagetes would grow vigorously at the expense of flowers. Removing dead flowers regularly would encourage a longer flowering season. Tagetes Erecta (African Marigold), though it does not belong to Africa as the common name suggests, African Marigold is a stout flowering annual that bears orange or yellow flowers. 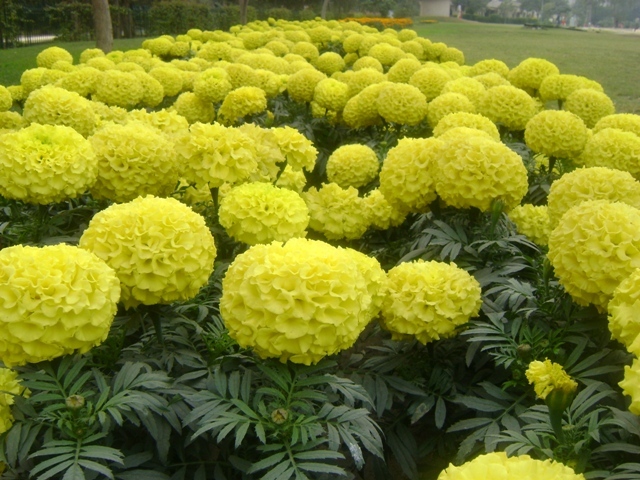 A variety of cultivars of African Marigold are grown commercially. Tagetes Patula (French Marigold) is a bushy annual that bears showy orange, yellow or rusty-red flowers. These plants usually grow as dwarf bloomers.